Trussing represents the building blocks of every big event. Whether 1-, 2-, 3- or 4-point truss, you will find it in theatres, on stages, at fairs and concerts in the form of decorations, permanent installations or architectural constructs. Because they are often subjected to heavy loadings, for example through lighting and PA equipment, quality should always come first. For this reason, we sell truss by Prolyte, a worldwide leading manufacturer of truss equipment. Products by the Dutch company are used by many big event organisers for events of all kinds, and that for good reason. Prolyte sets itself apart through a unique customer-service and high-quality products. But safety is definitely their first priority. All of their products are made of the best materials and undergo strict quality controls. They are guaranteed to always comply with the latest DIN and EN norms. In order to be the first ones to react to amendments to the law, Prolyte employees are part of industry-specific EU committees which set the safety standards in the industry. This enables them to always be ahead of their competitors. Unique is also the flexibility of their product range. Customers can order custom truss and stage constructions. So, if the conventional designs don?t fit your needs, no worries. Just let us know and we will contact the manufacturer for you! Prolyte?s factory is situated in Europe, which makes it possible for shipments to reach every event location in no time. Another aspect which makes the truss special is that it comes with a serial number. This enables you to easily distinguish your trussing from everyone else?s. 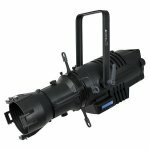 Unique are also the Prolyte hybrid couplers. These are colour coded and marked with a logo (blue with Prolyte logo). If the quantity you order exceeds 3000 coupler, it is possible to get them in your company?s colours and with your company?s logo printed on them. The innovative Verto coupling system was introduced in 2006: quick, quiet and tool-less. Prolyte trussing represents highest safety standards and quality for fair prices. Stage decks are one of the cornerstones of stage constructions. Without them many shows, such as concerts, fashion shows or product presentations, would only be half as successful. They are however also very popular with smaller clubs, schools and theatre productions. Because stages constantly have to bear high weights they have to follow the newest safety regulations. For all of the above reasons we distribute high-quality stage decks by Prolyte. This Dutch company?s product range of staging equipment includes decks, legs, stairs, ramps and railings. The decks designed for indoor use are called Basicline. Those intended for outdoor use are the so-called WeatherLine/BasicTop and the Topline, which is able to carry heavy duty railings with a weight of up to 100kg per meter. All deck elements are made of high-quality wood and their surfaces are coated in water resistant and non-slip materials. The Basicline however is also available with a transparent or frosted acrylate surface. The decks come in standard sizes of 2x1m, 1x1m, 2x0.5m and 1x0.5m and also come as corners and circles. With these platforms it is super easy and quick to create a multitude of stage layouts. But sometimes you might simply not be able to find the exact piece you are looking for. If that is the case, no worries! Prolyte is always willing to create custom solutions for your staging needs. They also design big stages with a Prolyte EasyFrame system substructure or a Layher substructure. Because their factory is located in central Europe, quick and smooth shipment is guaranteed. All of the aforementioned decks possess a standard middle beam. 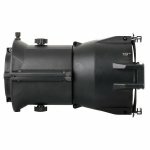 This gives the stage greater stability and reduces noise and vibrations. It also ensures that the platforms can carry a load of up to 750kg per m². What really sets Prolyte apart however is that they let their customers know which parts of the stage are able to bear how much weight. None of their competitors offer this degree of customer service. Their stage decks furthermore don?t possess any plastic parts which could break and hurt the construction workers. But what makes assembling these stages so quick and easy? One of the contributing factors is Prolyte?s unique system of standard, adjustable and telescopic legs. They offer heights of up to 1.7m and are connected to the decks through the simple switch of a lever. But connecting individual decks to each other is also super easy, thanks to the deck-to-deck clamps. When it comes to safety, Prolyte is always one step ahead of its competitors. Their products adhere to the newest German and European safety regulations like DIN (DIN 15921 especially) and EN. For fair prices you can therefore get high-quality and durable products which are sure to perform exceptionally at all kinds of events. The most important aspect of rigging is safety, and not just the safety of the performers and audience but also the safety of the rigger. To ensure that your team is well equipped for every event, we offer equipment such as couplers, PSA, safeties, straps and much more by the companies Admiral, Edelrid and Safetex. Admiral is a Dutch company which produces couplers, clamps, gismos, cable guides and a modular rigging system. All of their products are TÜV certified and fulfil the newest safety standards. Because the company only uses high-quality materials during the production process the durability and robustness of their products increases significantly. With their innovative modular rigging series, Admiral has developed a unique system which is best suited for permanent installations, showrooms and mobile applications. 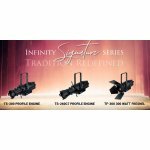 This series includes downriggers, floor racks, drop arms and single racks which allow you to place spotlights at various heights and thus create impressive lighting effects. Other revolutionary innovations are the so-called Snake Cable Guides. These cable guide systems are most useful in the theatre and for permanent installations. They are available at different widths and lengths, in black or silver and can be coated in any RAL colour, on request. Edelrid produces safety equipment for all of those working in great heights. 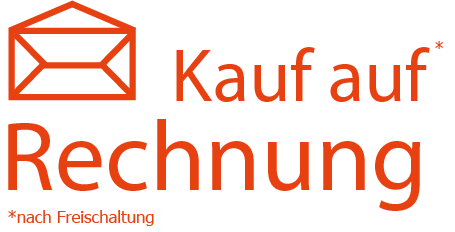 This German company?s product range includes PSA, rope, helmets, karabiner, clamps, slings and casters. All of their products are ?Made in Germany? and comply with the newest safety regulations. Ever since their founding in 1863, they value innovation and outstanding quality very highly. For these reasons you can always rely on their equipment to keep you safe. And last but not least, there are shackles, safety wires, round slings, and straps by Safetex. The company specialises in producing everything that a rigger might need to do his job safely. Their products are top-quality and go through rigorous quality controls and fulfil all German and European safety standards. Their blackline, straps and round slings have been manufactured here in Germany, according to the following principles: high performance, high durability and a carefully thought out design. Another aspect which sets them apart from their competitors is their customer oriented flexibility. So if you ever find yourself in need of custom designs, no problem. Safetex will come up with solutions tailored to your wishes. The topic of transport dollies is no small issue, because nothing damages expensive equipment more than negligent transport and unsafe storage. Investing in the right transporting solutions makes the assembly and dismantling of stages nearly effortless for the workers. For these reasons, Admiral has set itself the task of coming up with ergonomically designed and cleverly devised dollies and meatracks for the transport of stage decks, truss, baseplates, lighting equipment, cables and smaller tools. The StageDex dollies are best combined with Prolyte?s Basicline and Topline, which are indoor and outdoor decks. The dollies have lengths of 1m or 2m and can carry up to 6 decks. To ensure a smooth handling you can insert the decks at an angle and then tilt them until they reach 90°. They are then secured to the side of wagon via a bolt. This process is back-friendly and time-saving. But there is also the StageDex transporter PRO. It is truly unique because it is the only dolly available which can fit beneath 40cm stages and be stored there. When it comes to the transport of truss you can choose between multiple options. One of them is the Strong Boy which consists of a steel base and is coated in zinc to increase its durability and longevity. It is also equipped with rubber studs which provide optimal friction between the truss and the base and make it suitable for 30 and 40 truss. But, if you desire more flexibility you should have a look at Admiral?s Teckel system. A Teckel is a metal beam to which 2 castors can be fastened to. If you connect two Teckels which each other via two metal tubes you get a simple transport solution for truss. You can freely combine Teckels with each other so that they fit all kinds of truss? lengths. Skid-resistance and safety are of course guaranteed. The transport of baseplates is very similar to the transport of stage decks. Here, the dolly consists of two individual components: the flightcase and holders, which can also be purchased separately. They are available in different sizes and are suited for 6mm, 8mm and 10mm wide and 73cm, 80cm and 100cm long baseplates. It is of course possible to also carry all necessary connectors in the dolly itself. And don?t worry, Admiral hasn?t forgotten about your lighting equipment. They have designed meatracks of various widths and 110cm or 203cm heights. Fitting the racks with several metal tubes allows you to transport as many moving heads, lighting bars, spotlights, etc. as you need. And last but not least, there are the cable racks. They come with 80mm wide brackets which are fitted to metal beams which prevent the cables from bending and damaging their internal wiring. Here, the placement of the brackets is completely up to you. In theatre, especially, it is important that the audience can fully focus on what?s happening on stage and is not distracted by their surroundings. It is therefore often necessary to cover truss constructions and stage substructures through cloth. With backdrops and molton rolls by Admiral this is made super easy. Backdrops are often used to cover up stages and walls. The backdrops by Admiral are unique because they consist of a very light and yet sturdy material which only weighs 320g/m² and is very crease resistant. All backdrops are of course flame retardant in accordance with DIN 4102 B1. That means that you can go all out when it comes to using special effects. These backdrops are available in the following sizes: widths of 3m or 6m and lengths of 3m, 4m, 5m or 6m. If these sizes don?t fit your stage, don?t worry! Admiral is always willing to come up with custom solutions. Deco-molton is used to cover up the edges of a stage. It is available in black and white and comes in rolls of 60m length and 20cm, 40cm, 60cm, 80cm and 100cm width. This material is designed with ease-of-use in mind and you will hence also get 3 rolls of double sided tape with each roll of molton. Our accessories are all about cables. They are essential when it comes to powering lighting and sound equipment. For this reason, we offer you 3- and 5-pin DMX and XLR cables by Admiral. These high-quality products are available in lengths of 0.5-20m and guarantee an exceptional signal transmission. And in case you want to assemble your own cables, we also offer separate plugs and chassis. Here, too, you have 3- and 5-pin options, in male and female models. Another important category are the cable ties. They are used to bundle cables quickly and efficiently and are available in 3 different lengths and 8 different colours. Admiral has created something truly special with the cable tie ?Jan Willem?. These are re-usable rubber bands in the lengths 8cm, 16c, and 23cm. From now on, you will no longer need plastic cable ties or gaffa tape. They can be loosened and refastened very easily and create a very clean look. They are furthermore nearly indestructible. And last but not least, there are the cable bridges. They protect your cables from strong forces and ensure that the inner wiring isn?t damaged during use. They are available in many different shapes with 1 to 5 channels.